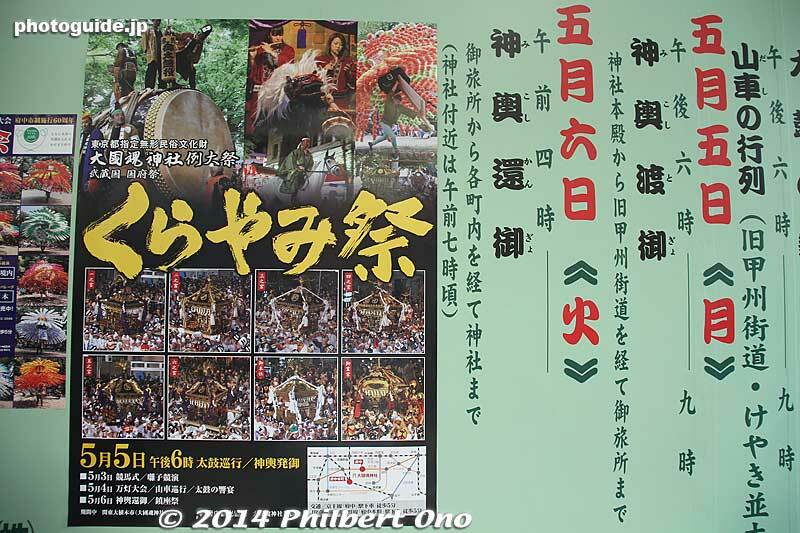 The Kurayami Matsuri is Okunitama Shrine's most important festival held annually on April 30-May 6 in Fuchu, Tokyo. The main festival days are May 4 and 5. Kurayami means "pitch dark" in reference to it originally being a night festival.